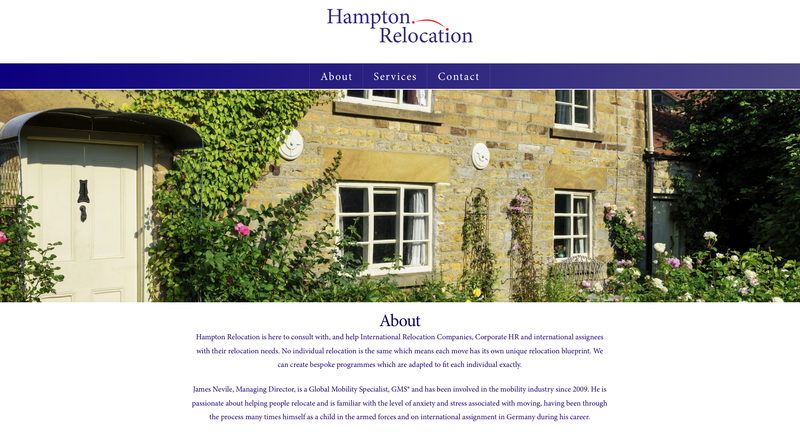 Hampton Relocation specialises in supporting International Relocation Companies, Corporate HR and international assignees in the logistics of their move. We first set out to create the brand. We designed a logo with uncomplicated and clear typography. 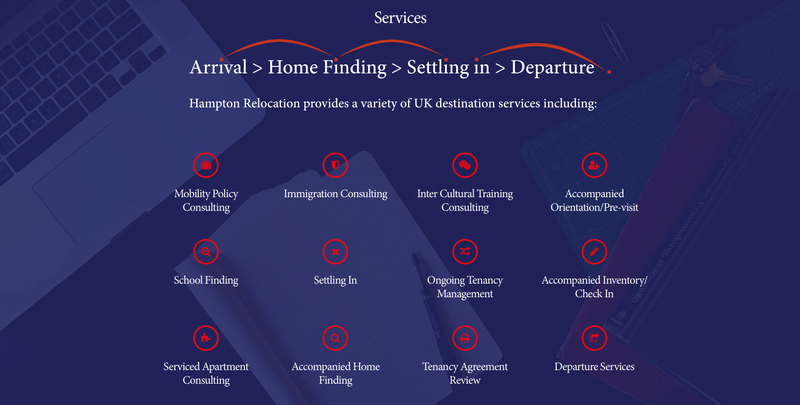 A curved line leads a red dot at the end of the word ‘Hampton’ to another red dot which sits above the ‘i’ of ‘Relocation’ representing transportation and the logistics of moving as key to the brand. From this, we created a simple one-page website split into three sections: About, Services and Contact. Quick introduction copy formed the ‘About’ section, followed by a grid layout with icons to represent the different areas of service. Beneath, a contact form allows prospective clients to get in touch easily via email or telephone. A red, white and blue colour scheme was used to match the clean and professional branding.